My First Book of Haiku introduces children to poems that speak of our connection to the natural world and of their own ability to see an entire universe in the tiniest parts of it. Each of these 20 poems by Basho, Issa, Shiki and other great haiku masters is paired with a stunning original painting that both portrays and inspires a child’s inner life, and opens a door to a world of imagination. The original Japanese versions of the poems (in script and Romaji) are included alongside the English translations as part of the cultural experience. Each haiku is accompanied by a “dreamscape” painting by award-winning artist Tracy Gallup. Commentaries offer parents and teachers a little ready-made “food for thought” to share with young readers. 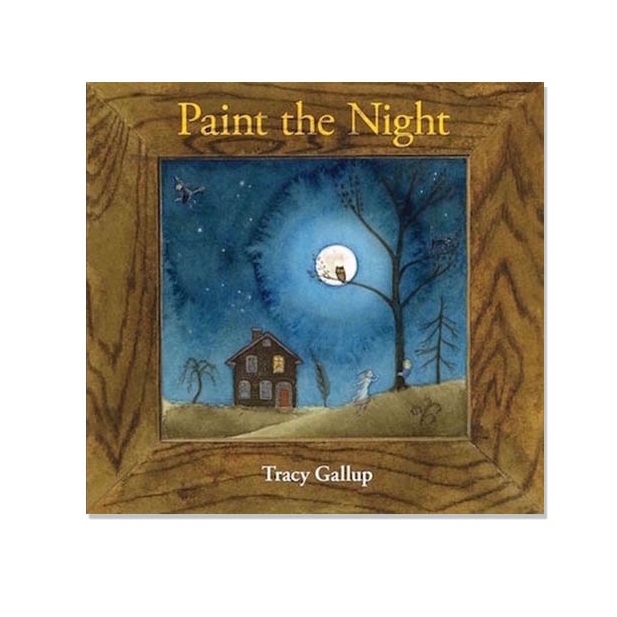 Tracy Gallup’s poetry and watercolor paintings introduce us to a young boy who employs his imagination and a paintbrush to overcome his nighttime fears. Kindly, warm, / glowing form, / steadfast moon, / sleeping soon, / friendly faces, / nesting places, / dream in blues, / peaceful hues, / tucked in tight… / goodnight. This is a soothing bedtime book! Open the door to the room in your soul where all your questions live. Is magic in every one of us? Is anything always? A book to explore, cherish, and give as a gift to mark life’s most special passages. Some people are crazy about stones. These ancient treasures from the earth delight us with their profound beauty and intrigue us with the mystery they hold inside In Stone Crazy, their power to inspire takes a young artist on a creative journey. 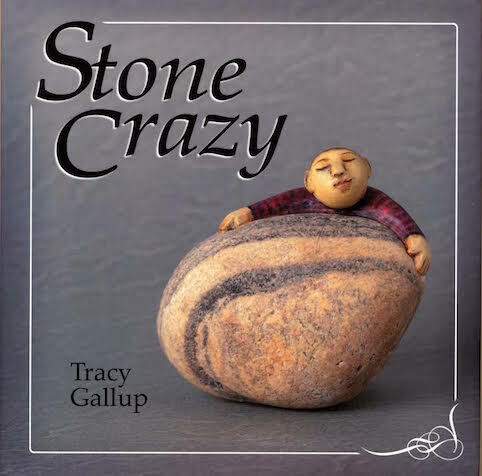 Gracing each page is one of Tracy Gallup’s handmade figures joined with an uncommonly beautiful stone to tell a compelling story that will capture the hearts of children and adults. Some people are crazy about shells. These wondrous gifts from the sea intrigue us with their forms and textures. In Shell Crazy, a young beachcomber gets swept away by her passion for collection until she remembers what is really important. 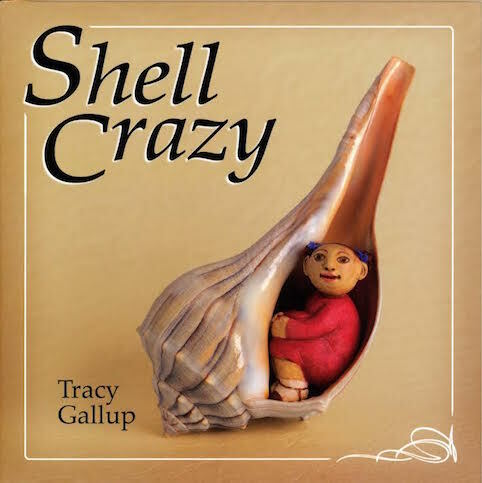 Gracing each page is one of Tracy Gallup’s handmade figures joined with a uniquely beautiful shell to tell a compelling story that will capture the hearts of children and adults. Some people are crazy about trees. These magnificent living wonders enrich our lives with their majesty and beauty, In Tree Crazy, a girl cultivates a friendship with a mysterious talking tree and finds her role in the circle of life and renewal. 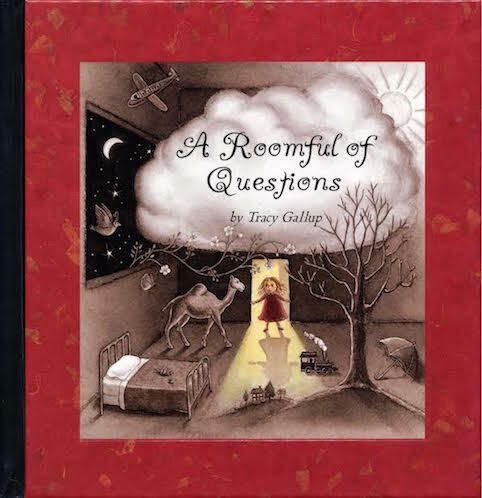 Gracing each page is one of Tracy Gallup’s handmade figures that tells a compelling story that will capture the hearts of children and adults. Some people are crazy about snow. This spectacle of nature arrives on its own schedule, reshaping the landscape and energizing us with its sparkling brilliance. In Snow Crazy, a girl waits anxiously for winter to blanket her world. When the snow finally arrives, it transforms the familiar into a magical realm of adventure, discovery, and possibility. Gracing each page is one of Tracy Gallup’s handmade figures. They tell a compelling story that will capture the hearts of both children and adults, alike. Mrs. Petticomb walks in the garden with flowers in her hat. Mr. Petticomb goes one better…he wears me, the cat. 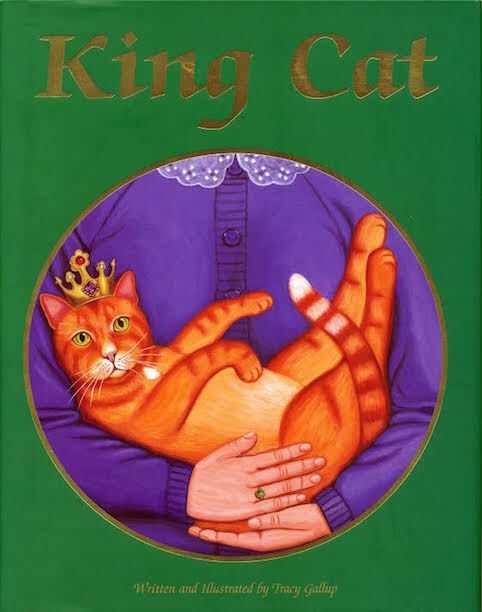 Mr. and Mrs. Petticomb are devoted servants to their tabby cat—an intelligent, frisky, and sometimes aloof character who prefers to be called, “your highness.” Come prowl the grounds of his royal estate—beautiful gardens, delicious food, loyal subjects, and an occasional intruder! Would you want to eat an old straw hat? How about some big fat worms and juicy slugs, dragonflies and lots of buts? Of course not, but animals eat things you would never think about eating. Would you dare to have lunch with them—spider or whale, giraffe or bat? Come feast your eyes on this sumptuous book as you discover the favourite treats of the most fascinating creatures.